Czech Republic – a wonderful country for tourism. In addition, the Czech Republic's historic castles, beautiful bridges, delicious beer. If you have visited the Czech Republic, and you wanted to stay there for permanent residence, read the tips below about how to go live in this European country. Learn Czech language. Without the knowledge of the national language to obtain citizenship in this country can only elderly and mute people. Learn the basics of the language more desirable in your own country, then you will have time to study the Czech language at the time of obtaining citizenship. Prepare annually to obtain Czech visa. 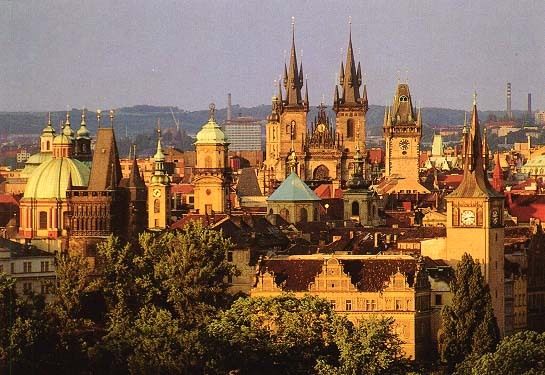 In order to formally obtain the citizenship of the Czech Republic, you must live in the country 5 years. More recently, this term was doubled. You must submit a certificate of lack of criminal record. You should not rely on the citizenship of the Czech Republic, if you lived in the country illegally for some time. So every year that you live in the Czech Republic, you must get a work or student visa to officially be in the territory of the country. Think about the marriage. Of course, if the marriage is not fictitious, in the presence of the husband or wife with the Czech citizenship, citizenship will be reduced to two years. Thus in any case you must learn Czech language and to have a certificate of no criminal record.